I often have a hard time explaining where I’m from. This is not because I have moved around or live out-of-state. In many cases, I live only an hour or so from those who ask. I can’t blame anyone for not knowing where Dillwyn is on the map- it’s a “one-light” town with a population of less than 500 people. What I can say, however, is that Dillwyn and Buckingham County deserve recognition. 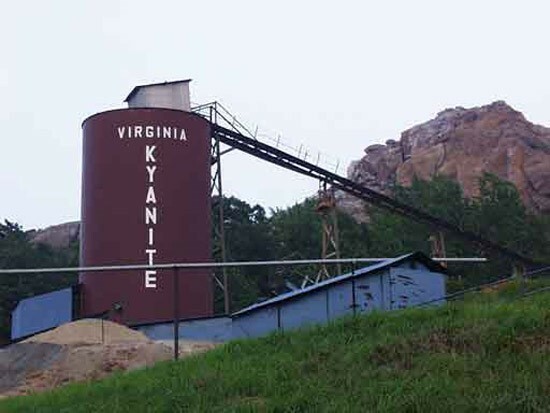 Buckingham is the geographic center of Virginia and is home to the only Kyanite mine in the United States (one of four mines in the world). If you’ve never heard of Kyanite, you’re not alone. It’s a little known mineral that plays many thankless roles. For instance, if you have watched in awe as a space shuttle reenters the atmosphere or simply sat comfortably in a plane as it experiences turbulence, you have experienced Kyanite in action. Buckingham is also deeply agricultural. In 2002, over 4.5 million chickens were raised and sold in Buckingham County. Additionally, 18,000 cows and 70,000 pigs were sold in the same year. Furthermore, in 2002, 389 farms harvested 38,000 acres of cropland. In addition to farming, Buckingham plays host to a number of sawmills and tens of thousands of acres of planted pine. Finally, Buckingham is home to a large state correctional facility, which oversees 1,106 inmates. The Dillwyn Correctional Center employed 287 people in 2017, accounting for 5.8% of total employment in the county. Additionally, the correctional center provides steady revenue for the county and meaningful employment for a number of its residents. Buckingham is resource rich, unemployment is falling, employment has increased 10% from 2000, and the population is growing. Buckingham has had its challenges, but has been able to fall back on farming, logging, and mining for years. Data suggests, however, that this strong base is starting to unravel. From 2000-2018, employment in mining and farming and forestry fell by 15% and 17% respectively. It is clear Buckingham’s economy is changing, yet it seems like there is little thought given to economic and workforce development within the county. Despite a multi-million revenue boost courtesy of the Atlantic Coast Pipeline, only $700,000 was earmarked for economic development commitments in the County’s 2018 budget. To ensure the county’s success in the future, investments must be made in local businesses and the county’s workforce, especially as farming, logging, and mining become increasingly more automated. While our complacency was once justified by farming, logging, and mining, it is clear that a new approach to county-wide and regional prosperity is necessary for the coming years. It is my hope that county administration explores new avenues for success in coming years, not to replace our heritage and uniqueness, but rather complement it. “Adopted Budget for Fiscal Year 2018-2019. Buckingham County.